US ELITE ORCHARDS’: Fruit Wine Kits!6L fruit wine ingredient kit that makes a total of 23L (30 bottles) of premium fruit wine in only 28 days US Elite Orchards’ fruit wine kits are the next level in fruit winemaking. Bursting forth with huge fruit flavors, fantastic aromas, perfect color and balanced to perfection, these fruit wines are guaranteed to make your mouth water and your winery look and taste like the best in the biz. Using state of the art processing techniques, natural fruit flavorings and high (california grown) grape varietal content ingredients, we have developed the most premium, best tasting fruit wine kits available on the market today. Furthermore, each of our fruit wine kits are specifically formulated for the commercial winery and are even very easy to use at your home wine cellar, giving you the ability to make outstanding, professional fruit wines in only 28 days. 6L fruit wine ingredient kit that makes a total of 23L (30 bottles) of premium fruit wine in only 28 days Produces semi-sweet Wines that are served best chilledFinal processing of recipe produces 8% ABV Includes Easy to follow 28 day recipe. 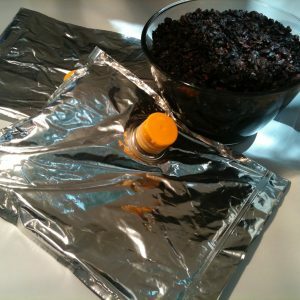 Winemaking ingredients include: Wine Yeast, Sparkolloid, Kieselsol, Potassium Sorbate, Potassium Metabisulfite, Grape Juice Concentrate preserved with sulphur dioxide, invert sugar.Currently available in 6L, 18L & 200L formats. Additional flavors to be added regularly. Pleas call for bulk format inquiries. 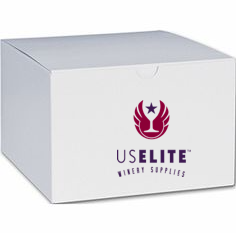 US ELite Orchards’ Fruit Wine Kits are compliant for commercial winemaing purposes as we only use natural flavorings and FDA/TTB GRAS ingredients , provide key production data, TTB drawback and FIDS documents.